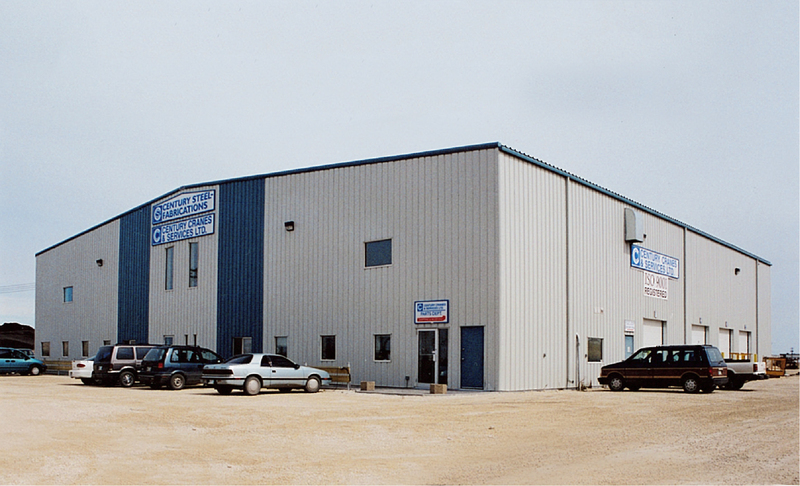 As a premier builder of cranes and material handling systems, Century Crane & Services Ltd. required a building to suit their unique needs. To accommodate the huge interior crane, 27’-6” wall heights were incorporated in to the structure. The simple light grey rectangular building was given extra punch and focus on the front elevation with two wide vertical blue clad stripes.